North Korea has staged a massive military parade on the eve of the Winter Olympics, complete with uniformed women dancing with swords and a grinning Kim Jong-un. 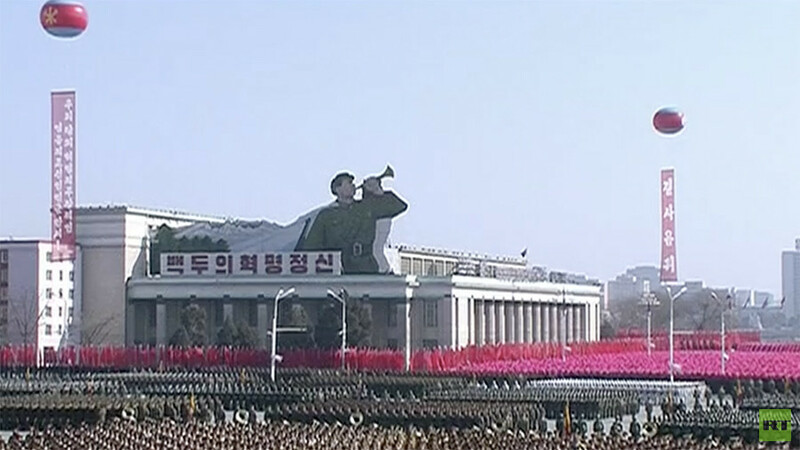 The usual accompaniments were present, namely intercontinental ballistic missiles to display Pyongyang's military capabilities. But there was also a dash of glamor: a red carpet, rolled out for Kim and his wife. Kim also delivered the expected rhetoric, speaking of his country as a "global military power" despite facing the "worst sanctions" from the West. There were also women in uniform dancing in exact unison with swords, making the parade seem – at least for a moment – more like a festive celebration rather than a statement of military strength. Jets flew over Kim Il-sung Square in formation to make a "70," as the parade was conducted to mark the 70th anniversary of North Korea's armed forces, the Korean People's Army (KPA). 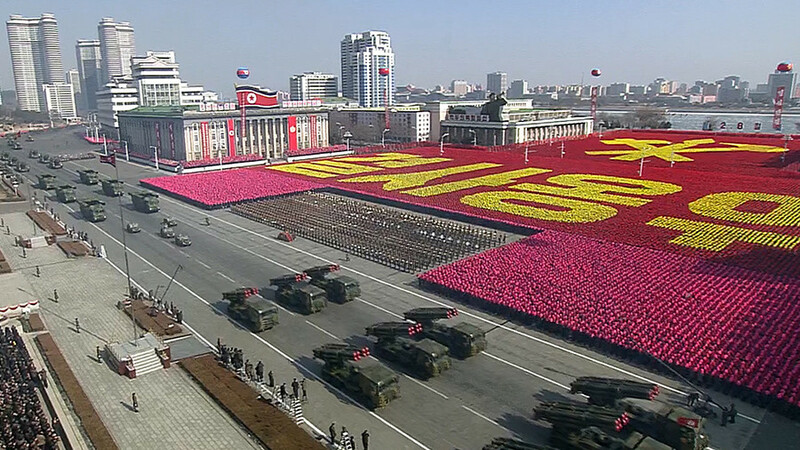 Thousands of people were dressed in red, white and yellow to create the letters "Kim Jong-un" in Korean, along with the ruling Workers' Party symbol of the brush, hammer and sickle. 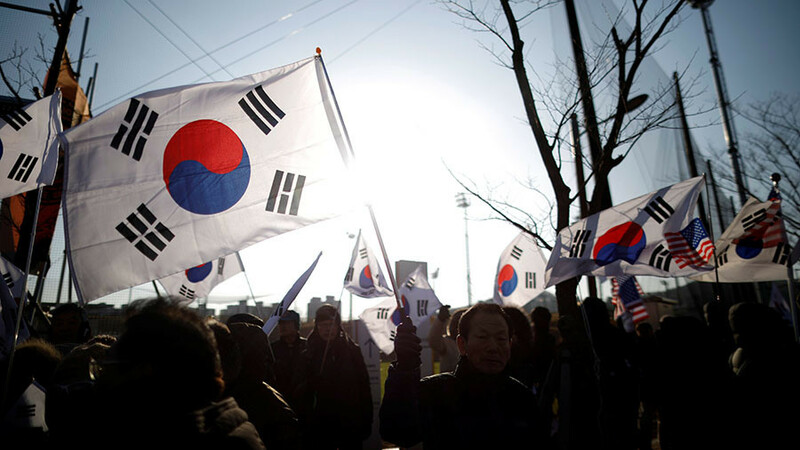 It came on the eve of the Winter Olympics in PyeongChang, South Korea, where teams from the two Koreas will march under a united flag at the opening ceremony. 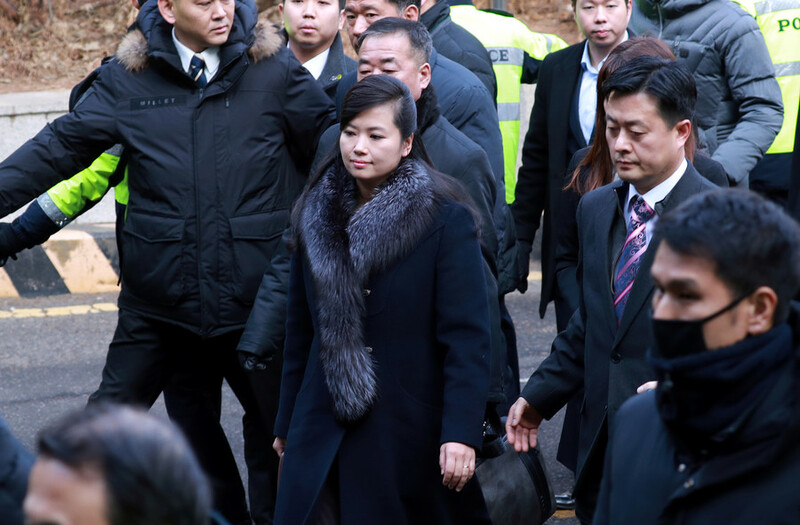 However, even as the two sides prepare for the ceremony, Seoul has announced its disapproval with the parade, describing it as "intimidating" after a trial run was captured by satellite. The North was in no rush to provide details or pictures of the parade and did not invite foreign journalists. Hours before Pyongyang released the footage, videos and photos by foreign tourists emerged online, showing a motorcade of military vehicles driving through the streets of the capital. Some photos were taken by Michael Spavor of the Paektu Cultural Exchange, an international non-governmental organization that facilitates cultural and business exchange with North Korea. The organization also offers its clients “a special trip” to enjoy a “rare military parade,” which was likely to occur on Thursday, according to its website. The contentious move comes despite a recent diplomatic thaw between the North and South. 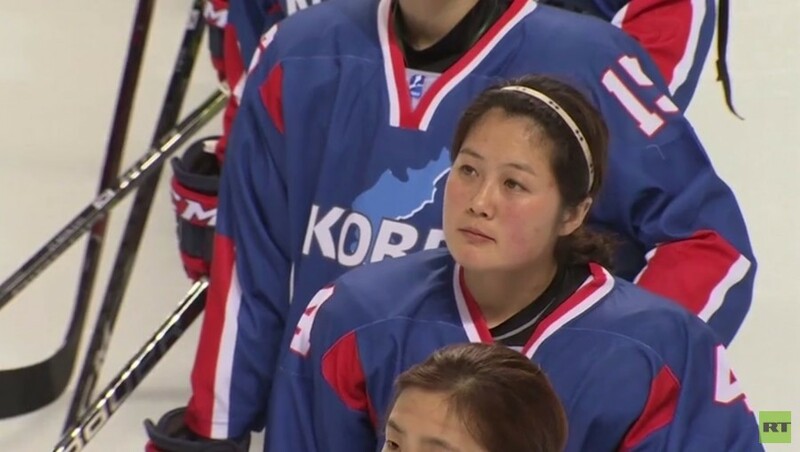 In January, delegations managed to hold talks and agree on North Korea’s participation in the Olympics, as well as the creation of a united women’s hockey team. 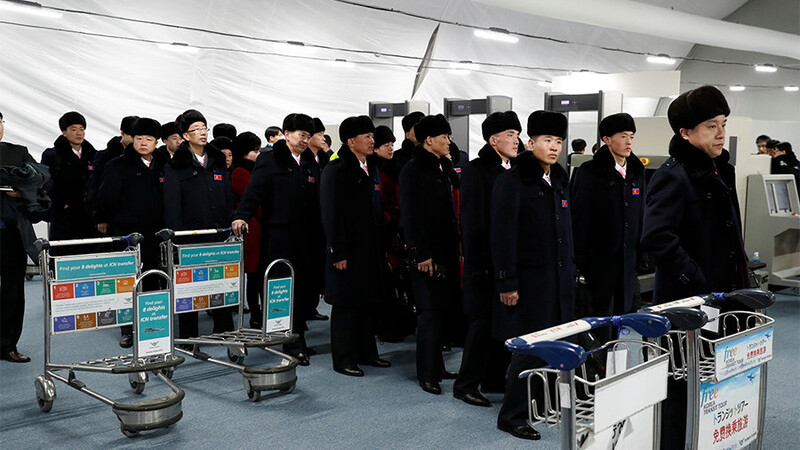 Hundreds of North Koreans, including high-profile officials, an orchestra, and cheerleaders have arrived in the South for the Olympics. 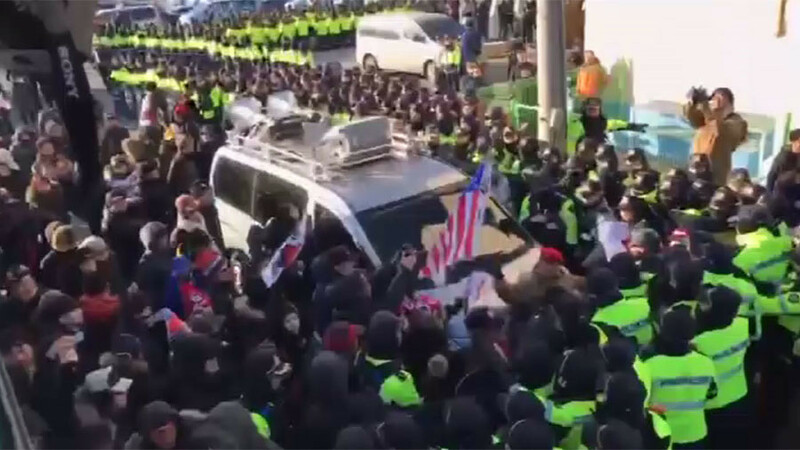 The arrival of an art troupe was met with a small protest and sporadic scuffles between South Korean police and demonstrators. However, the US is still calling for pressure on North Korea to be ramped up, and plans to continue military drills with its allies in the region after the Olympics, in addition to recent drills. The maneuvers have been repeatedly criticized by Pyongyang, which refuses to halt its nuclear and missile tests. North Korea does not intend to use the Olympics as an opportunity to come to the negotiating table with Washington. “We have no intention whatsoever to meet US authorities during our visit to the South,” Cho Yong-Sam, a senior foreign ministry official, said as cited by state-run KCNA news agency He added that North Korea “never begged for dialogue” with the US and will not do it in the future. The statement came following Mike Pence’s bellicose warning of more economic sanctions against Pyongyang before the end of the Winter Olympics, the “toughest and most aggressive” sanctions yet.